We reported in our Gears of War: Judgment issue of Game Informer that Enemy Front was on track to release in the latter part of 2012. 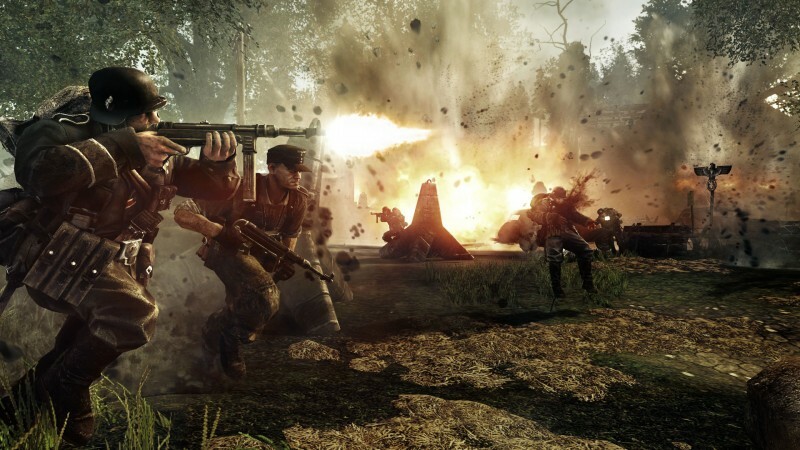 At E3 we saw a little bit more of the game and learned that it has received a slight push into the early part of 2013. 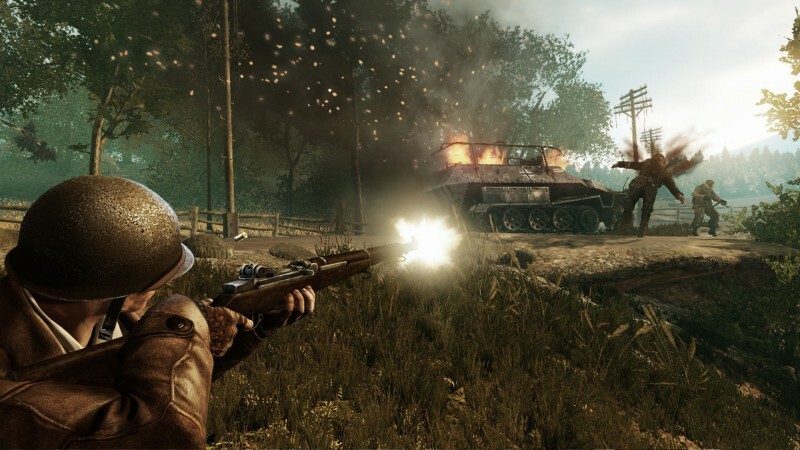 Our demo begins in a forested area with protagonist Alders driving a vehicle right into the middle of a Nazi camp. He crashes their party, exits the vehicle and begins firing on anything that will explode. 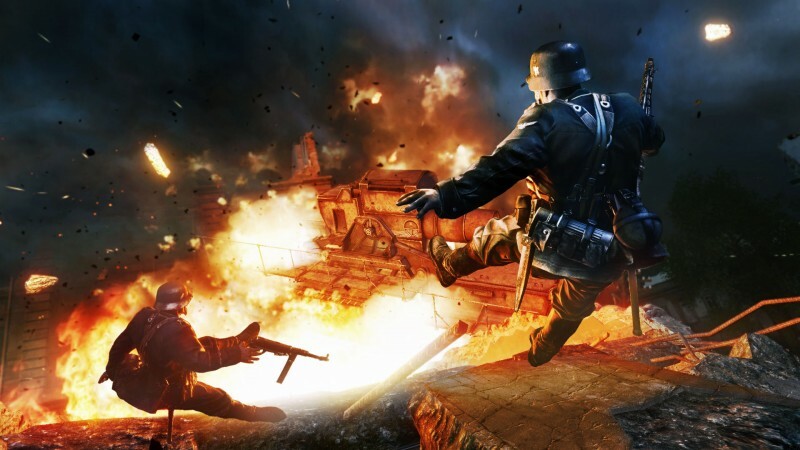 He takes out a car which throws a few Nazis who are unlucky enough to be standing nearby. 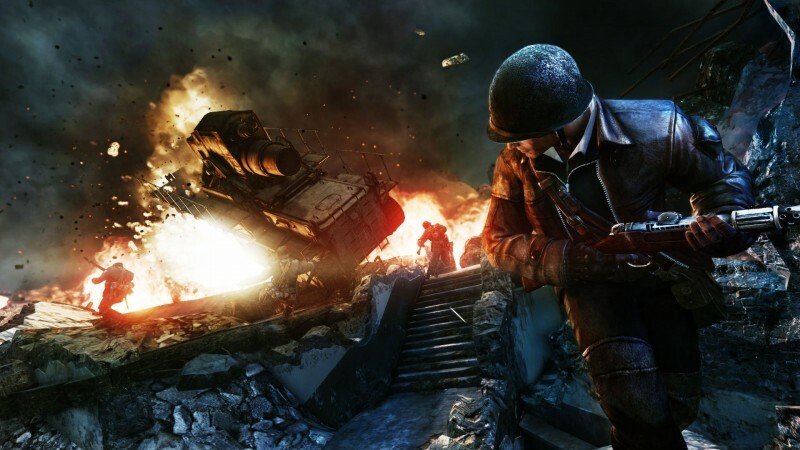 The explosions really seem to be Enemy Front’s most powerful and impressive weapon. Everything that blows up seems to create an imposing mushroom cloud as it explodes and has a wide radius of destruction. 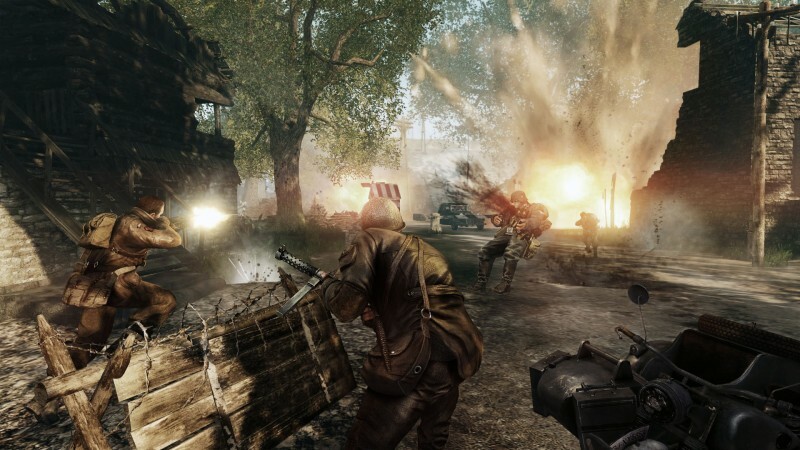 In our demo, Alders spent a lot of time hiding behind cover and picking off enemies as they peeked out from behind their own, and while the guns have recognizable power behind them, nothing seems to have the same impact or destructive joy as focusing your bullets on the assorted explosive barrels and vehicles littered around the environment. After making his way through the first group of enemies, Alders moves to a new section in the camp where he tries to play things a little quieter. 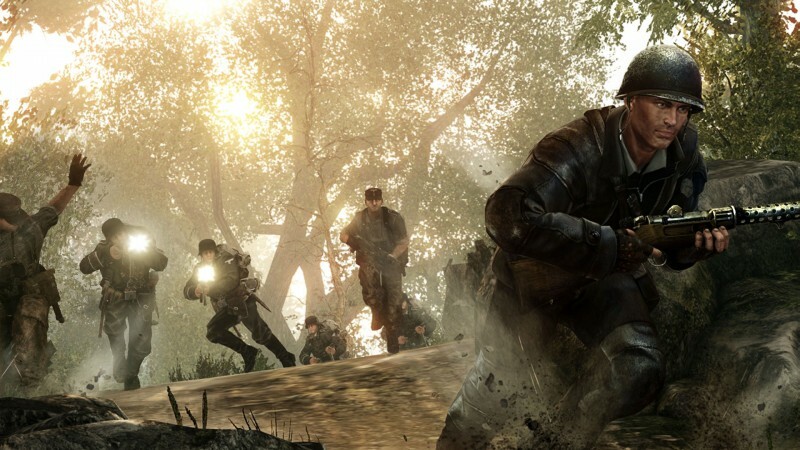 He takes out a number of enemies by sneaking behind them and using his knife. 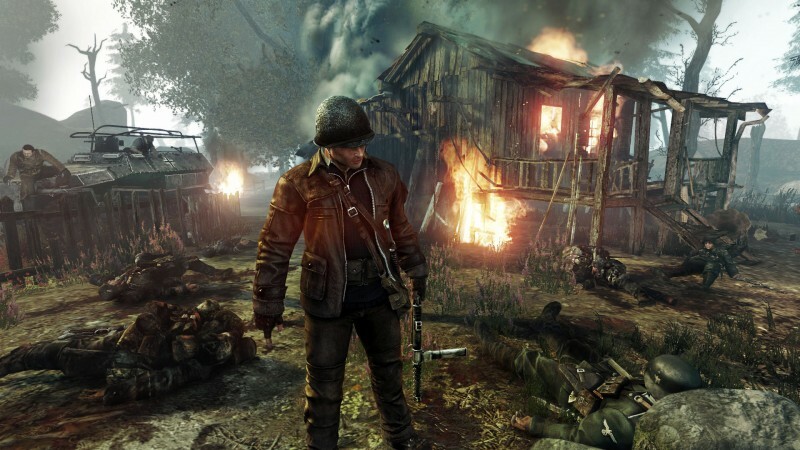 Alders makes sure to scavenge what ammunition he can from fallen enemies and the assorted cabinets in the buildings as he makes his way silently through the camp. Soon enough though, he is back in all out fire fight, focusing more on the explosive elements of the environment rather than just trying to award each enemy their own collection of bullets to the chest. 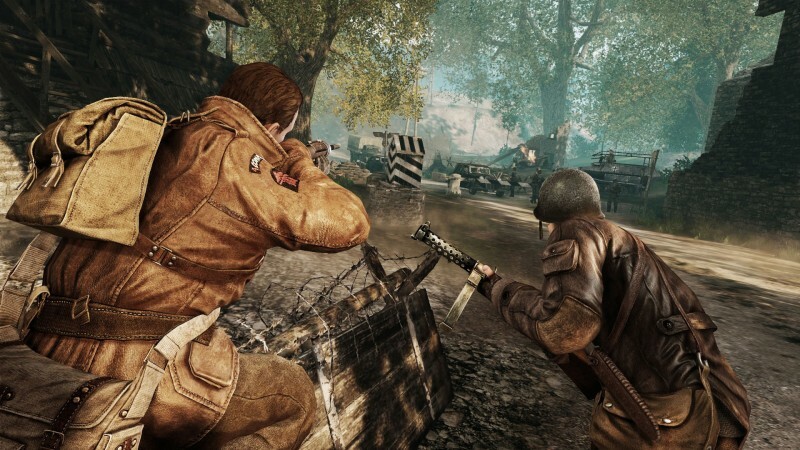 Clearly there are opportunities for stealth gameplay, but Enemy Front is by no means a stealth game. Moving through the level was a direct path, but it looked like there were multiple trails to get to the ultimate goal. 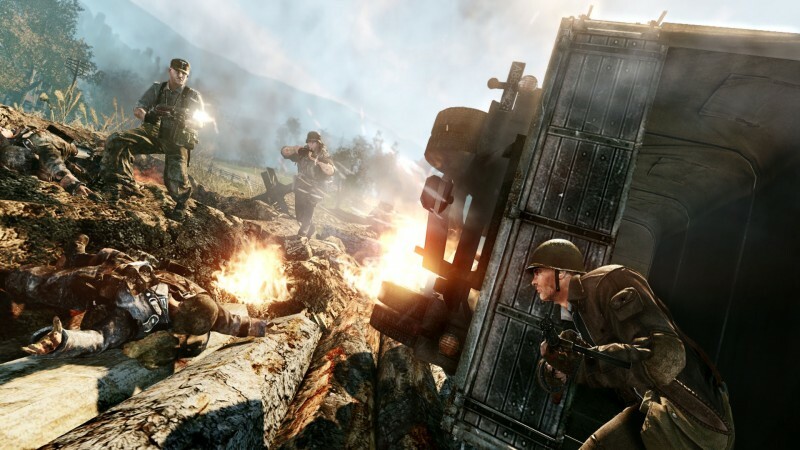 I asked about the possible existence of a Call of Duty follow-style marker to help players through each level, and was told that, at the moment, the developers are trying to make sure that levels are designed in such a way that players will not need to be force-fed directions. 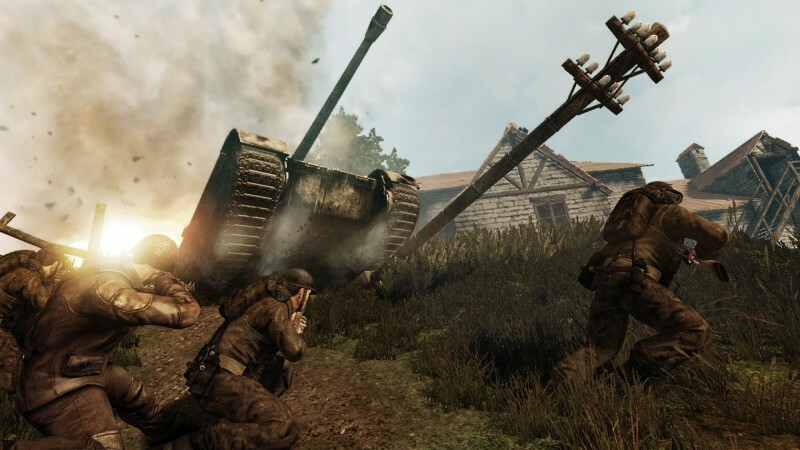 Enemy Front has some impressive explosions, and it looks nice with the game being built on the same engine used to build Crysis 2, but it still struggles to separate itself from other World War II shooters. 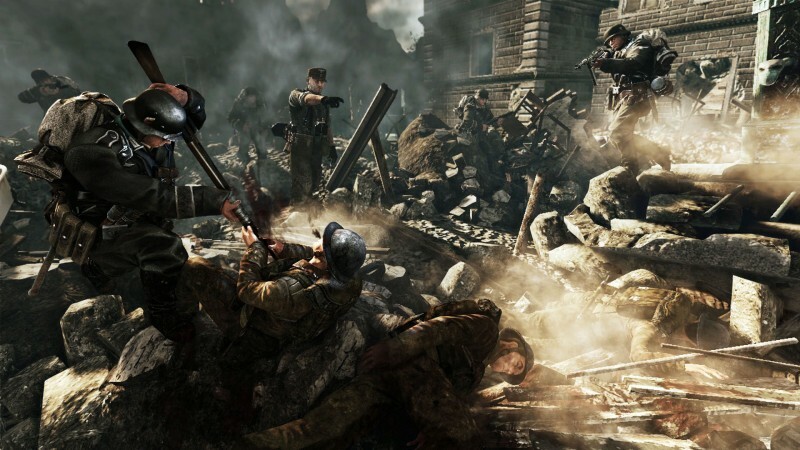 It’s been awhile since the video game market was flooded with shooters taking place in that era, but that doesn’t mean that we have forgotten how many there were and how nearly indistinguishable each one was from another.